Every year, millions of visitors enter the Colosseum, which represents a common heritage of human history and culture. Visiting it is still considered a sensational experience, a unique moment that everyone wishes to see at least once in a lifetime. 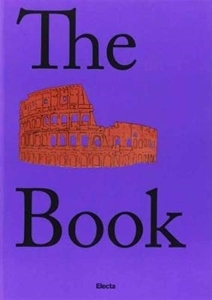 The wide and original array of images and literary pages, as well as a number of unpublished materials, confirm the Colosseum as being an exceptional source of inspiration for writers and artists until this day. Thematic itineraries guide readers on their tour, recalling the atmosphere of the past as well as modern-day links with the cinema. This volume makes a useful and delightful guide to learn more about the monument that has always had a certain physique du role. This affordable and manageable volume has the advantage of illustrating new and original paths to the discovery of one of the most studied and well-known monuments in the world.